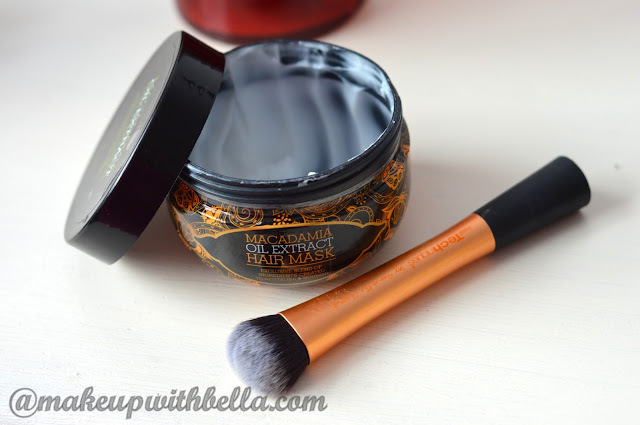 Makeup with Bella: My little miracle for washing the makeup brushes, the Brush Egg review! My little miracle for washing the makeup brushes, the Brush Egg review! Today I need to write you about amazing product called the Brush Egg and also on my way to soft and fragrant brushes. First time I saw this little cutie in one of the Polish bloggers on Facebook, then check on the availability and price. Then I knew that I had to purchase it!!! :-) Why? I needed try something else to clean my brushes than my hand only. 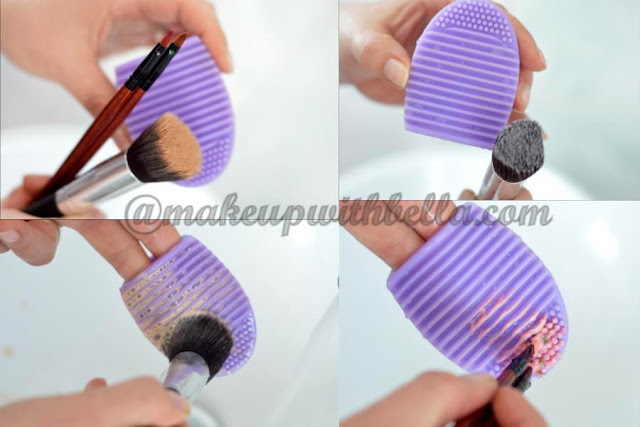 And we know that washing makeup brushes is one of the most hectic job for makeup lovers and we can't avoid this task if we want our makeup tools clean and bacteria free. Some of the beauty bloggers call this product a mini dupe for the Sigma SpaBrush Cleaning Glove but in mini version and affordable. I have mine for about £1.00 only from eBuy, China seller. If you live in Poland you can purchase it on Allegro too. The fact is that I had to wait about three weeks, but you know I'm patient and it paid off ;)!!! This makeup brush cleaner is available in many colors: pink, mint green or yellow and made of silicone. It is of half egg shaped from one side and other side is composed of ridges and small silicone bristles for deep cleaning brushes. It fits over just two fingers on which you slip on it and run through your brushes over it to clean them. I personally don't like slip it on my fingers so I just hold it in my palm and wash my brushes. The Brush Egg is super easy to use: pour some liquid soap or shampoo which you use to clean the brushes and rub the brushes to create foam. The smaller knobs are great for small eye, lip or eyeliners brushes. Extra plus for the Brush egg is that thanks to him I can thoroughly and fast rinse the brushes with soap which wasn't possible with my hands only :(. Moreover, the surface is not hard I didn't notice any shedding of my brushes hair during wash.
What do I do to have very soft and fragrant makeup brushes? Every second washing, apply to the brushes the hair mask or conditioner (very small amount), the same as currently I use for my hair. Wait few minutes, then rinse and let them dry as ever, and we can enjoy very softie and beautifully fragrant brushes! I hope that you are not bored and I've encouraged you to get the Brush Egg in some way. And if you haven't try the trick to refresh the brushes with hair conditioner, I encourage you to do so. Or maybe you have some cool ways to soft brushes, eager to find out: please write in comments below!